Monthly maintenance fees are due on the first day of each month. New Maintenance coupon books are distributed by the first of the year. 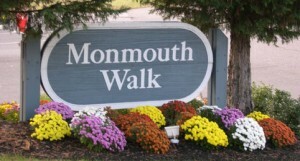 Make checks payable to: Monmouth Walk Condominium Association, along with your maintenance coupon. A $25.00 late fee will be applied to all payments received after the 10th of every month, or if any balances remain outstanding on your account. Electronic Funds Transfer is available whereby you can arrange to have your fees paid by automatic withdrawal. There is no cost for this service. For those homeowners who have elected electronic funds transfer (EFT) for their monthly fee payments, please retain your books in case you choose to revert back to the manual payment method or you sell your home in the upcoming year. Welcome packages are mailed to new homeowners after they close on their unit. This includes the Rules and Regulations of the Association.